For many musicians who aspire to play music for a living, practicing their chosen instrument often turns into something of a ritual. Many begin learning a musical instrument at an early age, learning through music tutors and practising an average of 6 or 7 hours a week. As a musicians life continues, their level of practice increases and by the time they’re young adults, musicians regularly practice for 5 or 6 hours a day! A professional athlete trains to maintain their fitness levels for competitions and an ambition to compete in the Olympics, a musician practices to keep improving their skills so they can benefit from a successful career. Practising shouldn’t be a unpleasant task for any musician, it’s part of a musicians everyday schedule and is vital for any musician wanting to sustain a career in music. For many musicians, laying down a set of achievable goals is the first step to a good practice regime as the advantage of having your aims and objectives set out in front of you often helps productivity on those days when the motivation doesn’t flow quite as freely! For musicians whose time is often restricted, having a set of achievable goals will help hone in on exactly what it is you need to be practising! Plenty of musicians’ version of practising often revolves around playing what they already know and a large amount of noodling! If you’re one of these musicians, you could consider what skills you don’t possess that would bring you more work as a musician. For example, sight-reading is a crucial skill of classically trained musicians but has been known to evade others such as guitarists because they prefer to use tab or learn songs by ear. Warming up can greatly reduce the chance of injuries to your hands whilst playing your instrument. 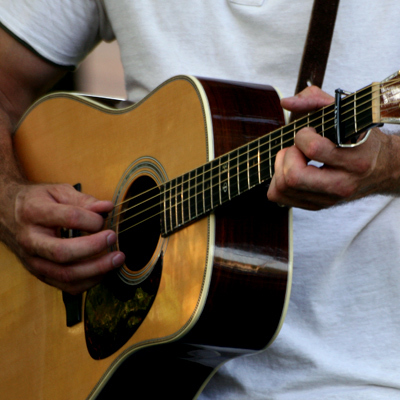 Injuries such as Repetitive strain, tendonitis and carpal tunnel syndrome can and do happen to musicians who don’t warm up properly before playing a gig or even just practising their instrument. All good musicians have an excellent feel of time and time signatures. Whatever it is you’re playing you should always play it in time to a metronome, as this will not only improve your playing but can also help the smoothness of your playing. As previously mentioned, having a set of reachable goals is vital for a musician to keep track of progress. Even if you just managed to practice for one hour every day, with a set of goals your practising will be regimented and goal focused. Practising your musical instrument is vital if you’re looking to maintain a career in the music industry. Although, as expected practising for 5 or 6 hours a day can get monotonous so don’t be afraid to play games with yourself to try and make practicing more fun and exciting.